Goals and Purpose of Program: The winter half marathon training program is designed for runners who are accustomed to running middle distances and who want to prepare for their first distance event or improve their past half marathon performance times. The program meets twice per week and does long runs as well as speed work and hills to get you ready! 2018. The formal program will begin on January 6. We train runners of varying ability levels including beginners. You do not have to be a fast runner to do our program or complete a half marathon. We will put people of similar ability together in pace groups, based on race times and other criteria. The program gradually builds up your average weekly miles. 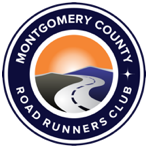 Prerequisites: You must be a member of Montgomery County Road Runners Club in order to participate in this program. Runners should have a weekly mileage base of 15-20 miles and should be able to comfortably run 7 miles without stopping. Runners should be prepared to run 8 miles at the first long run on January 6th. Runners must come to each workout properly dressed for the weather conditions and with proper hydration. A fuel belt or similar is recommended to allow runners to easily carry water on Sunday long runs. Reflective gear may be recommended on select Wednesday evenings if the track is closed due to snow or ice and we are able to do an alternate workout on the roads. or Cherry Blossom. Running a goal race is not required to participate and those who just want to train with a group are welcome. Additionally, program registration does NOT include club membership. To join MCRRC, please click here. wait to register until we provide you with additional registration information. About Ken: Ken is an RRCA Certified Coach and has run frequently with XMP and other MCRRC programs. He is an amazingly consistent runner, known for winning 4th place (never 3rd, never 5th) in his age group. Ken might run faster if he weren’t so busy motivating the other runners around him by telling them fabulous stories to amuse them through their races. Ken and his wife Mary jumped full speed into parenting by adopting two children from Ethiopia several years ago and quickly became the typical crazy, scattered American family. 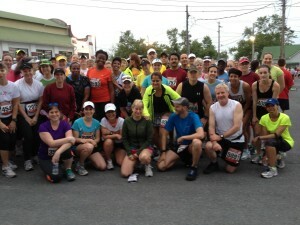 About Karen: Karen is also an RRCA Certified Coach and is coming full circle with her running. After begging not to be cut from her junior high track team, she was captain of her college cross country and track teams and started running longer distances with MCRRC in her mid-20s, first with the FTM Program. She was MCRRC’s Runner of the Year in 1999 and has since been through pregnancies, days of pushing a triple jogging stroller, fast races, injuries, and is now happy to just be able to run. Ken and Karen previously served together on the MCRRC Board of Directors. For the last several years they have coached opposing teams in the City of Rockville’s Youth Track and Field Program. They are hoping that the runners in Winter Half Program will have better listening skills than the younger athletes they coach but will exhibit just as much joy and pride in their accomplishments come race day. Date/Time: Sunday, December 9, 2018 at 8:00 AM – Attendees are encouraged to run the Jingle Bell Jog at 9:00 AM, following orientation. Pace Group Information: We’ll need a current race time and some information on your recent mileage to properly place you in a pace group. Sundays @ 7:30 AM, various locations – Long Run – A schedule with locations will be provided however please understand that weather conditions may cause us to change Sunday long run locations from time to time. Our aim will always be to provide a safe location to conduct the run. Disclaimer: The program director reserves the right in their sole discretion to refuse admission to the program or dismiss any individual from the program whom the program director believes is unsuited for running the specified distance, or is unable to meet the demands of the training schedule, or is disruptive to other program participants. Those individuals will be denied entry into the program or dismissed from the program as appropriate. The program director also reserves the right to limit the number of participants in the overall program or in individual pace groups. MCRRC has a No Refund policy. Program registration fees cannot be refunded due to injury, schedule conflict or any other reason.